Looking for a way to get your students excited about classroom management? Want your students help in supporting positive behaviors in your classroom? Do you want to have your students be the leaders in correcting problematic behaviors? Are you looking for a 21st century way to help with your classroom management techniques? Sounds like you should give Class Dojo a try! Teachers across all grade levels have been talking about Class Dojo for quite some time on Twitter, Facebook, Blog posts and schools across the world. I have heard so many good things about this program that I am ready to give it a try!! I hope you will try it too! What Does Class Dojo Do For Me? 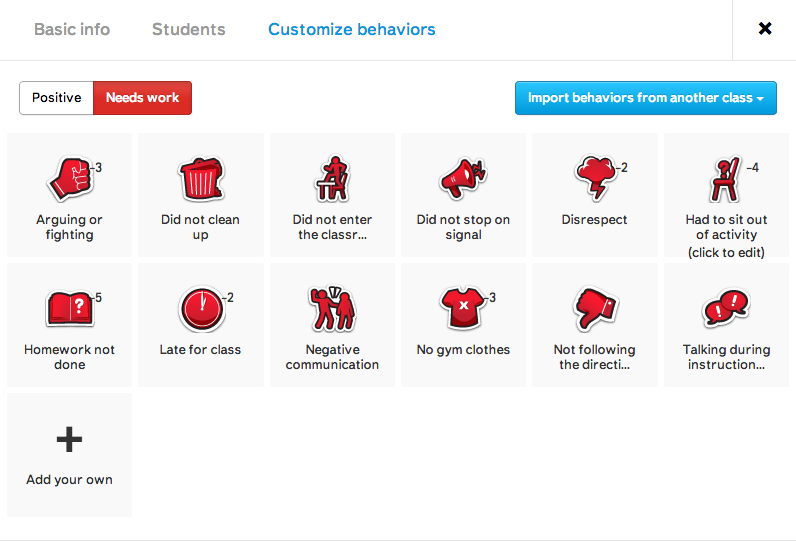 Class Dojo is a real time behavior management application for classrooms. 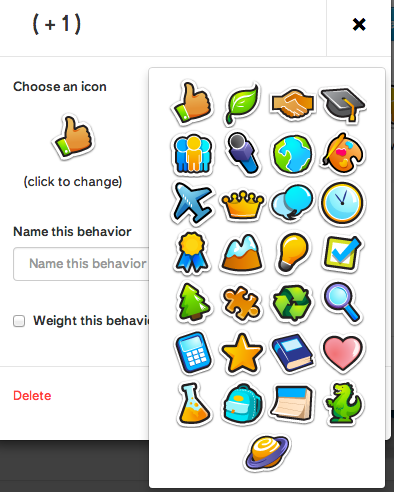 Teachers can set up their class or classes on Class Dojo with icons, or avatars, representing each student. Then the teacher can set up behavior criteria and award points to each student for showing these behaviors. 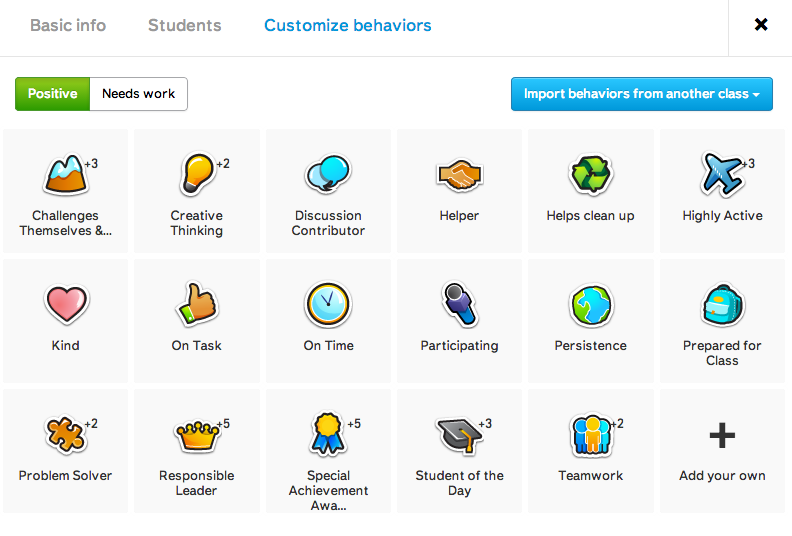 Class Dojo allows you to share behavior information about your students with other teachers in your school, with the parents/guardians of your students, and with your students. Now with Class Dojo Messenger you can broadcast one way messages to all the parents in your class, send home documents, homework, permission slips and report cards, send safe and private direct messages with parents 1-on-1, share exciting moments from school, and not only that you can keep track of who has seen your messages!! Class Dojo can be run on your class computer, interactive white board, or smart phone! 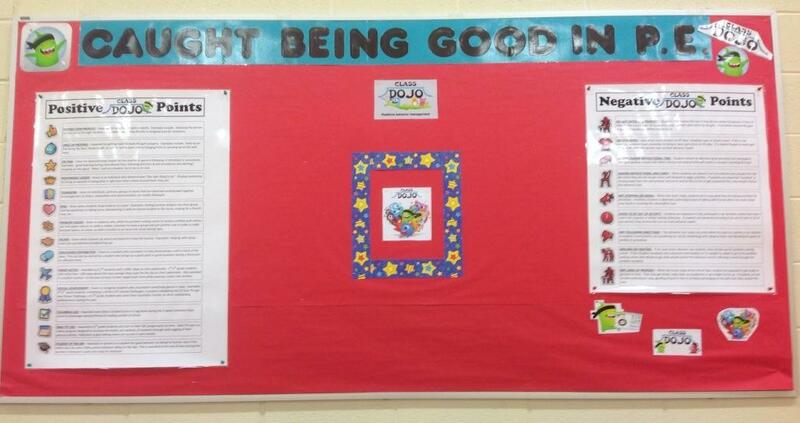 It helps support a PBIS system to easily track points for your students, class, and school! 1. Help me keep track of positive and negative class data. Class Dojo stores and exports all the data so students, and parents & teachers (if you choose, which I will) can see. 2. Communicate more with parents. 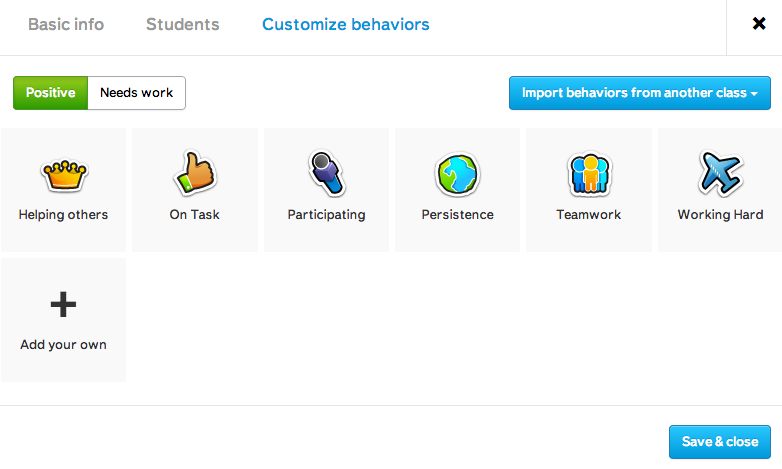 Class Dojo will be my communication tool to celebrate students that showcase positive class behavior all the time. I will also communicate if someone is really struggling with behavior in class, and if I see improvements throughout the year. 3. I will use the messenger app to make more 1-on-1 communication with parents, reminders of important information, and share pictures of great things happening in physical education class. 1. All-Star Students – I will select a student of the month from each grade level based upon the students who have the most Class Dojo points totaled up at the end of each month. This student will be given 5 study hall or recess passes that can be used to invite 5 friends into the gym for their recess or study hall time. Passes must be used during their All-Star Student Month. 2. Class Champions – Each month I will select a class champion for the month from each grade level based upon what class had the most Class Dojo points totaled up at the end of the month. The class that earns the Class Champion Status will get to select a Free Day Activity that they can play in the gym during their lunch recess time. 3. Other Reward Ideas – I got a lot of feedback from Twitter when I asked for people to share what rewards they give for students / classes that show superb positive behavior. Responses varied from water or gatorades with a school label posted on them, parachute cord bracelets, school shirts, free days, post a picture of student or class on the bulletin board, etc. 4. Class Dojo also has a page to communicate with other teachers and click here to see how other teachers are giving rewards. For physical education classes I still am a firm believer that you should reward positive behavior with physical activity. This will continue to help foster that love for movement and a healthy and happy school! 2. Set up your classes – This step is pretty straight forward. Choose your class info. Then choose what grade level, type of class, and label a name for your class. 3. 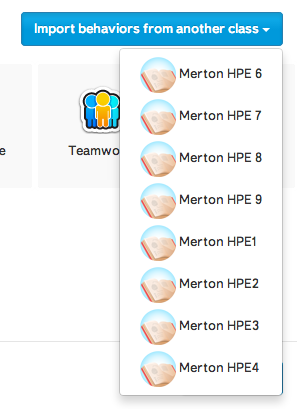 Next it will ask you to add your students – You can choose from a school roster (only if your school administrator has set it up for the entire school), copy from a list, or manually type in each student. 4. Now it’s time to customize behaviors for your specific classes. If you choose add your own, then you can choose a graphic to represent the behavior, name the behavior, and even “weight” this behavior to count for more or less points. Once you have all your positive and negative behaviors set up for one class, then it’s really simple to set up the behaviors for other classes. 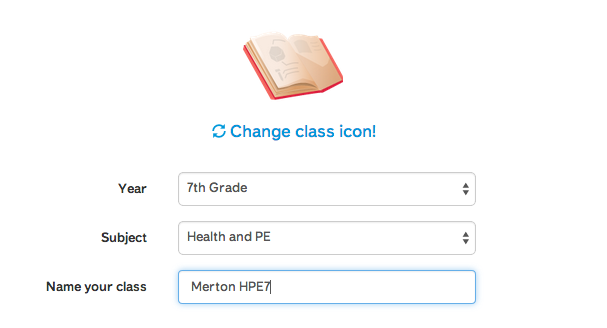 Just select “Import behaviors from another class” and select the class you have already set up the behaviors for! Then that step is done! Here are examples of negative behaviors I have set up for my physical education classes. I posted these posters on my bulletin board to showcase the positive behaviors I am looking for in class (Click on poster to access all 17 positive posters in my Google Drive). Click on the link to find more information on how to get your students connected to Class Dojo. 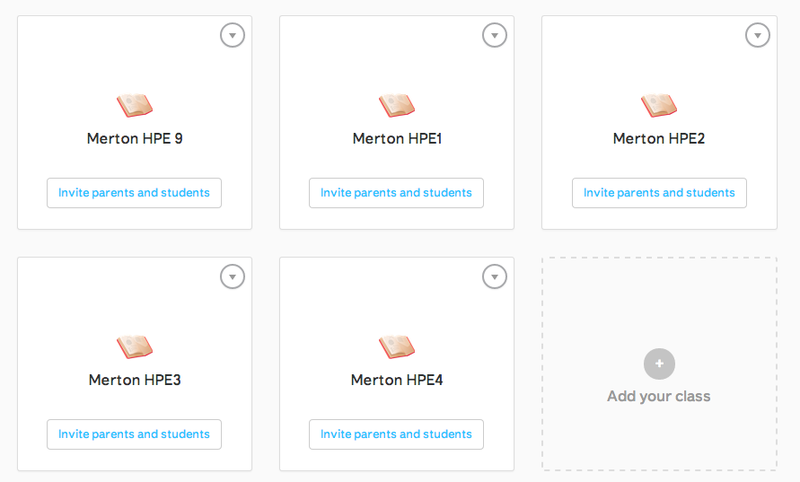 It’s as simple as printing out your class codes for each class and getting them to your students or sharing your teacher code with each class and having them connect with you. Click on the link to find more information on how to get your parents connected to Class Dojo. It’s as simple as sending a blanket email to your parents and having them sign up. You can also add a parent email manually under each student, so they don’t have to sign up. This step takes longer, but ensures that every parent will be able to contact you and you will be able to contact or share the information with them! Well that’s it….Pretty simple way to engage students, parents, and teachers in creating a great school environment with focus on positive behaviors! Have you tried Dojo for other applications? I am not too familiar, but I am wondering about using it for a formal assessment of a sportsmanship unit, where students would have access to devices and encouraged to give other’s points when positive behaviors are received or seen. I think I read that you can enter your own behaviors ( encourages others, tries to involves teammates, etc). If you haven’t tried this for this applications then what are your thoughts?